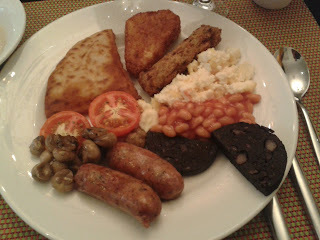 I'm continuing my post of foods we had while in London. I'm now in the "vacation" phase of the trip. I say "vacation" in quotes because it was a whirlwind tour of London and surrounding areas so coming back I feel like I need a vacation from my "vacation". We had a lot of fun. 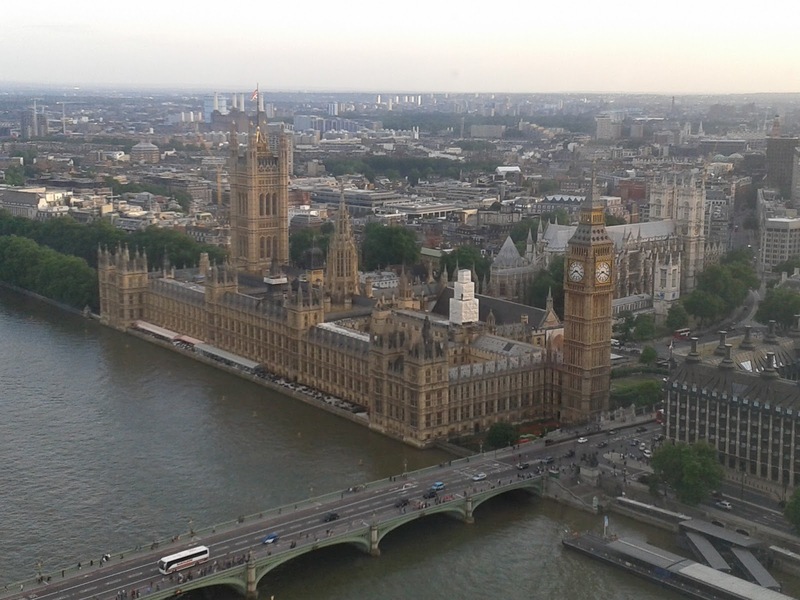 Here's a shot of Big Ben and Parliament shot from the London Eye. I got a steak and kidney pie at the Berry Bar at the hotel. They offer an afternoon tea service (if you can't get into the fancier Ritz afternoon tea down the street). So for those of you that haven't had "pie" think chicken pot pie where the crust encases a yummy stew of meats (in this case chopped steak and kidney) in a brown gravy. We went by Harrods and visited their food hall (one of my must do's when I come to London). 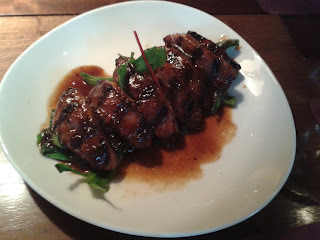 The Pan Chai Sushi bar was revamped with a bigger menu and we had this BBQ duck and watermelon salad. Very tasty, the shredded duck must have been either fried or charred before shredding because the skin was crispy and delicious. Duck confit (my wife's entree) at the Tiger Green Brasserie. Very tender and delicious, I'd definitely order it again. We took a side trip out to visit Oxford University (yes we went and visit the various "Harry Potter" sites where they shot the film). 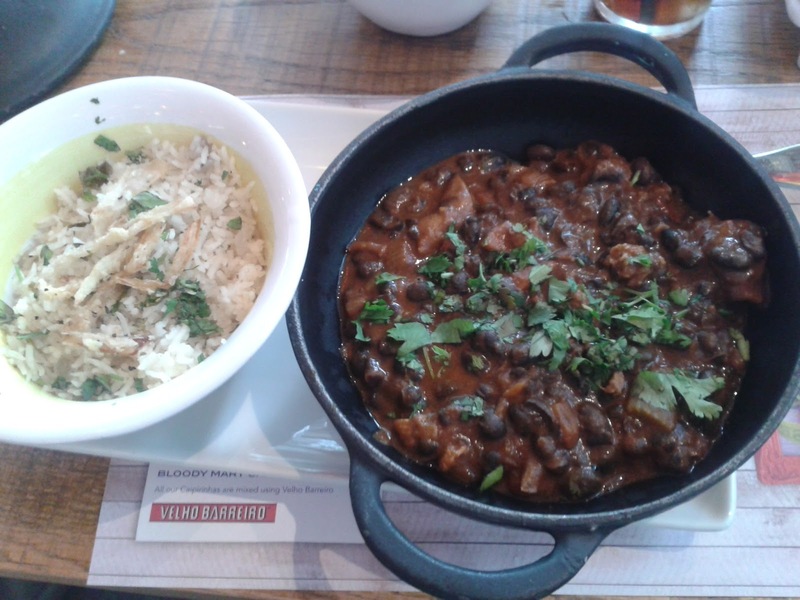 We found this restaurant called Giraffe (turns out to be a franchise) the food was affordable. 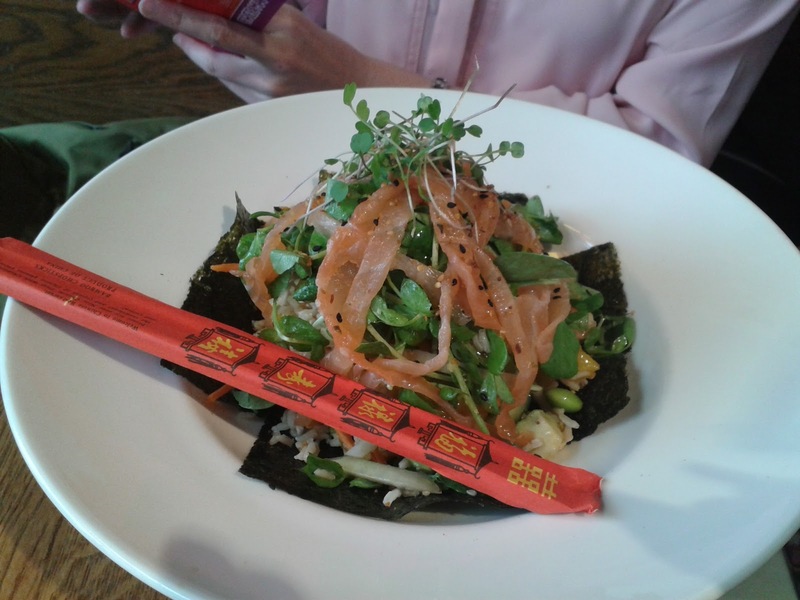 California sushi rice salad with oak smoked salmon. 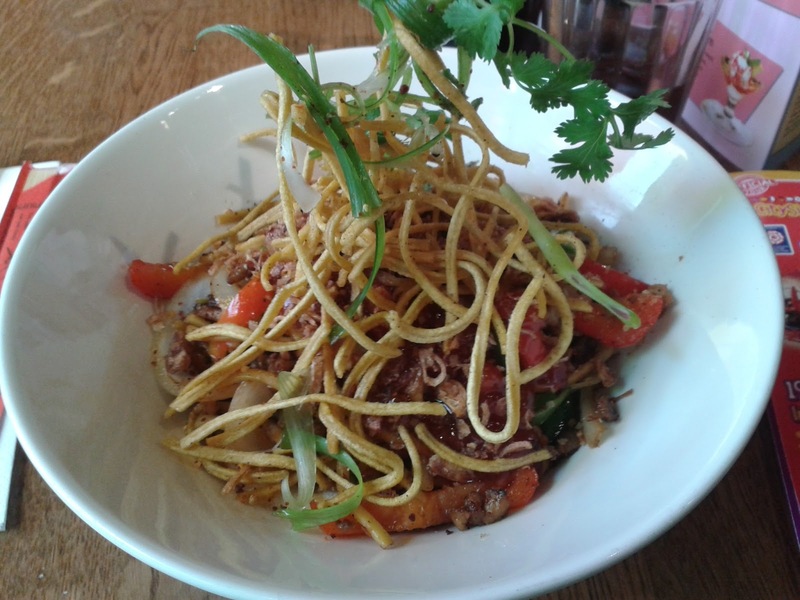 My wife wasn't a big fan of her salad (we felt the rice was undercooked), but I really enjoyed my Hot Thai duck noodle stir fry. Since we took the train over there was a 2 for 1 entree offer so this meal was quite a good deal. Finally a steak pie at the Mad Bishop and Bear in the Paddington station. Yes it looks a lot like the first pie photo. This was pretty good, the steaks were in large chunks and very filling. 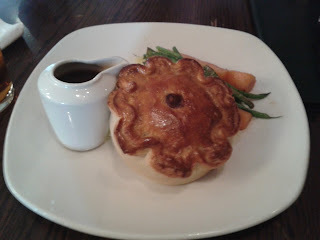 I'll have a post on pies later as I got a little history on them when we visited Hampton Court Palace. I'm working on a bento this weekend so we'll be getting back to the cooking here shortly. 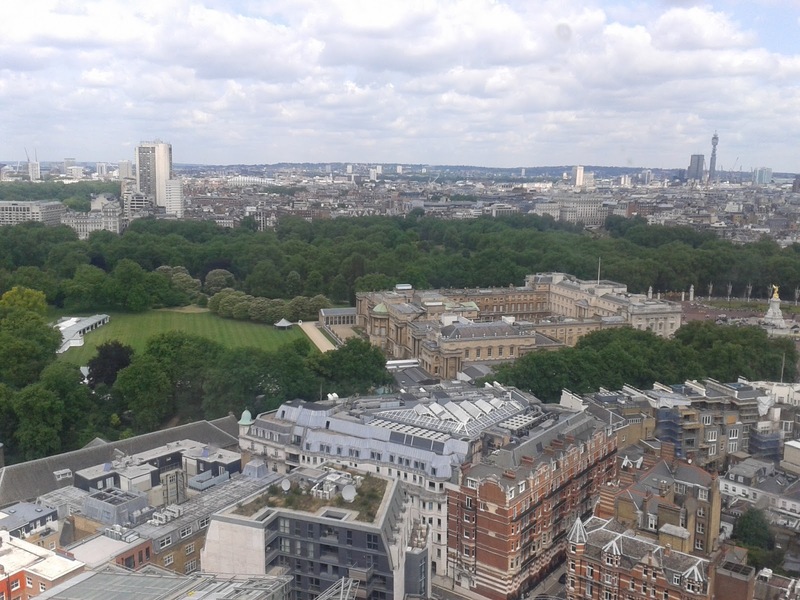 Ok more traveling, this time to London, first week for work (above is our view of Buckingham Palace from our office) and second week for vacation with my wife. Lots of pictures of a lot of different food, I've manage to cut the number of photos to the highlights of what and where we ate. 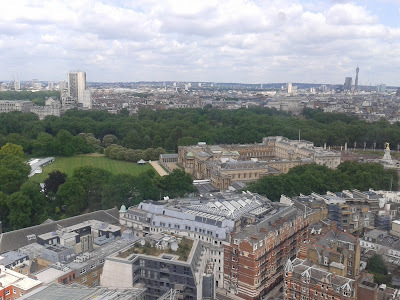 I've put links to the various places just in case you're in the area and want to check out some of these places. Sorry in advance about some of the photos I shot everything using a Galaxy S3 mini android phone that I acquired while on this trip and it does a pretty good job, but under low light it gets a bit grainy. 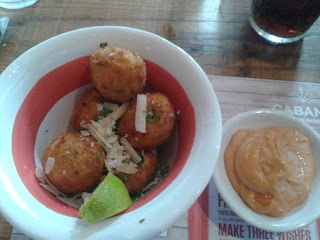 Since my room wasn't ready I took a stroll through town and found a Brazilian restaurant Cabana and ordered a crunchy rice bolinhos for starters. For my main dish, pulled pork feijoada, thick and hearty perfect for the slightly chilly weather (58 degrees compared to sweltering 100+ degrees back here in Texas). 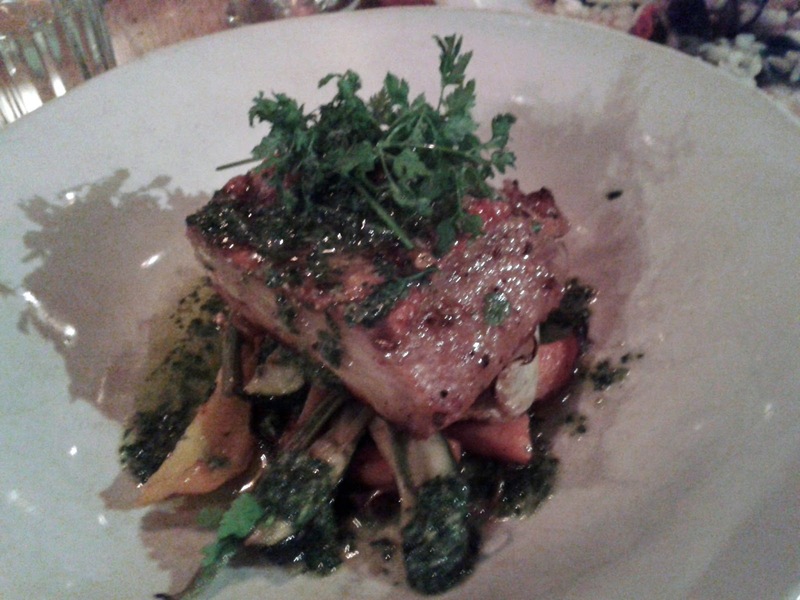 The restaurant was nice the portions were manageable and ordered by the dish. I met up with a friend and we went to Jamie's Italian where I ordered the special, Braised pork belly. 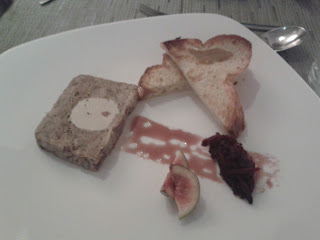 I enjoyed the restaurant but my friend said she'd die if any of her friends saw that she came to a "Jamie Oliver" restaurant. I think the chef might be suffering from a bit of over exposure in the UK and hence the bad rap, but I thought the food was fabulous and well executed, I'd come back. 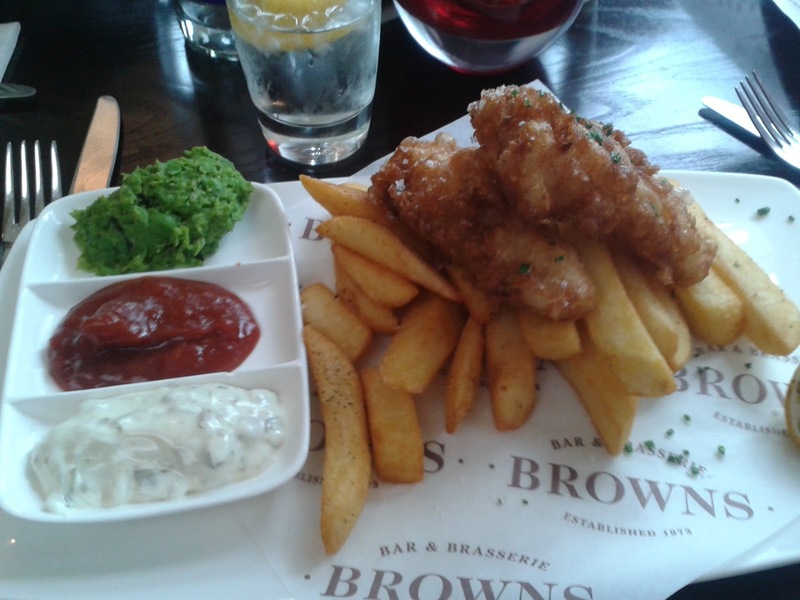 Of course my first day in the office I had to get my standard fish and chips with mashed peas at Browns Restaurant. They feature "classic" british food. For dinner some of the folks in the office took me to Bubasa, a modern thai restaurant similar in decor as Sway here in Austin with the community seating. 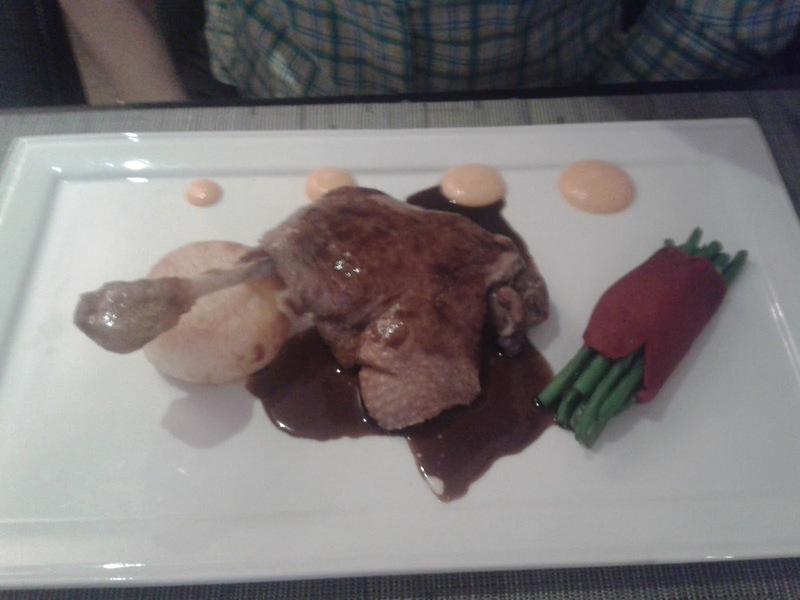 The food was very good and although I did take pictures of every dish, this picture of the char grilled duck came out the best. 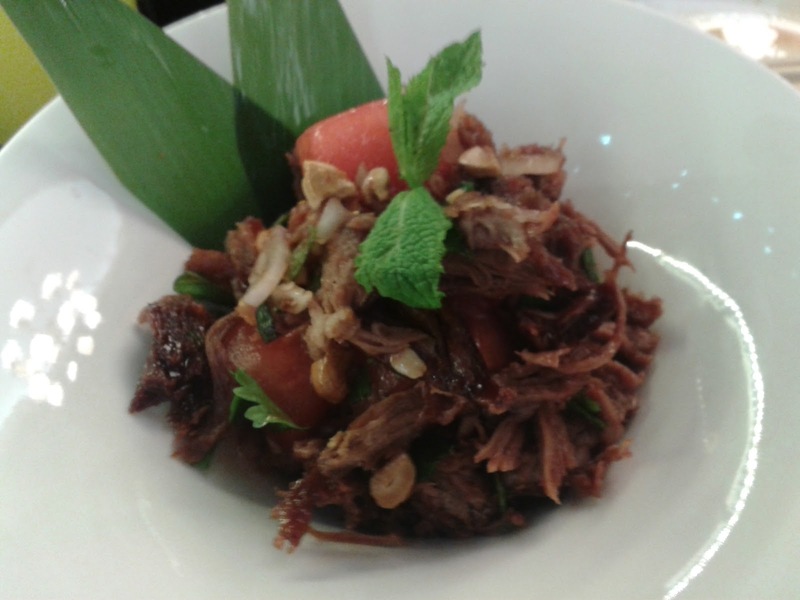 Everything is served as a series of small dishes and perfect for those that like to taste a variety of food. Definitely go check this place out. 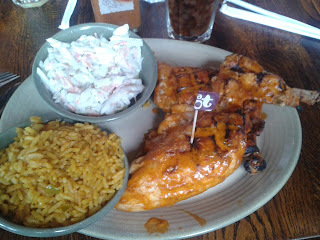 Another work lunch this time the guys took me to Nando, a south african grilled chicken chain. I hadn't realized it was a restaurant chain but I have previously purchased their piri piri sauce for one of my earlier bentos. The chicken was terrific very tender and juicy, they marinade the chicken and you get a choice of quarter, half or whole chicken and sauce in varying degrees of heat. I might have to do a Nando bento. We went to Wagamama to finish up my tour of all the restaurants downstairs from the office. 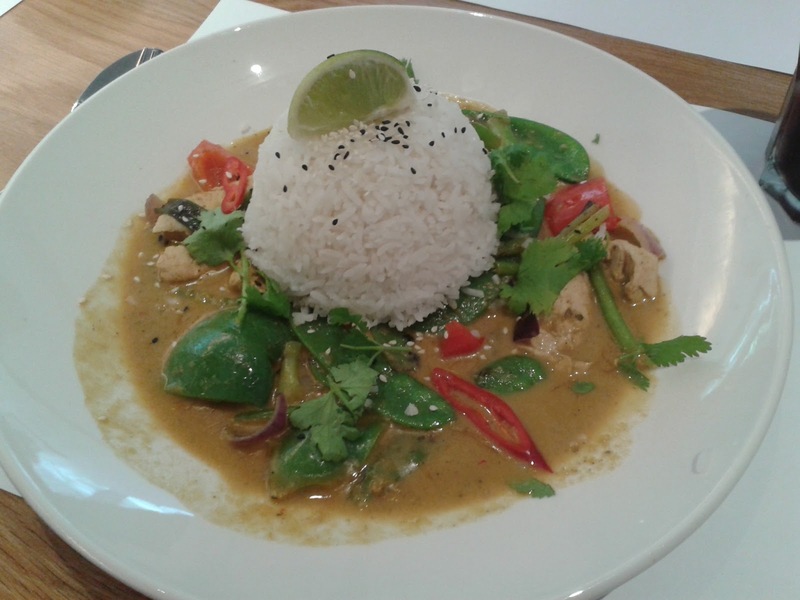 I ordered the Chicken raisukaree, basically it was a green coconut curry chicken. The food was simple and fast, Wagamama's are all over the place in London. 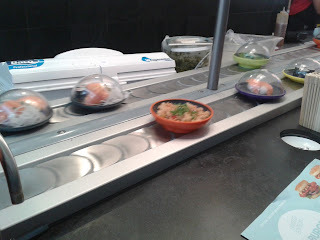 For my last work lunch I hit up Yo Sushi where the platters of sushi slide past you on a conveyor belt and they charge you by the color of the plates you stack up. Not the best sushi I've had, but fast and conveniently in the tube station to take me back to my room for a full night of video meetings with my US team. They had a "Yo burger" which was a toasted rice "bun" which I might investigate making seemed like a neat concept/twist on a traditional rice ball. So end-ith the work part of my trip.